During a short interlude between dental appointments I joined Sue at Dunham Massey’s Winter Garden. In fact, I jogged the 5.8 km towpath route from Timperley whilst Sue arrived on her bike via a yoga class. Lattes and cake all round was our reward. I didn’t make a note of all the names of these flowers, but no doubt some of them will appear on the following list. There should be more visits in coming weeks, as the garden continues to spring into bloom. Well worth a visit if you can get there. 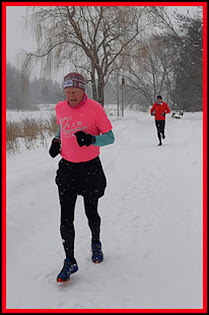 This was an Exodus Travels trip – cross country skiing in Estonia culminating in a ski marathon race. Sue and I booked on the trip after Susan and Roy (Connecticut) found it. Ken and Helen (Ottawa) also enrolled. There were 14 others on the trip, together with Andy, the Exodus leader. They surprised us by virtue of all knowing each other from previous trips! Can you spot everyone in the picture above, which was taken by Jűri, the local ‘fixer’ for Exodus? From L to R: Elly, Martin, Karen, Jenny, Steve, Sam, Stephen, Maureen, Roy, Ken, Phil, Mat, Helen, Sue, Tania, Trevor, Jim, Shane, Andy, Gareth and Susan. (You can click on the pictures for a larger version, which you’ll find anyway in the slideshow. Sue and I travelled via an impromptu birthday party in Solihull. We spent Tuesday based in Tallinn, which proved an interesting place to visit. My blog entry for the day is here. The morning saw us on our skis again – most of us had now managed to get equipment that matched and fitted (yesterday I’d had skis and poles that fitted, and boots that fitted, but the ski bindings weren’t compatible with the boots!). We went to a rather icy area of artificial snow tracks – Nomme, where Sue is pictured with Andy. Tuesday afternoon’s walking tour of the old city was enjoyable; it would have been more so had we bothered to don our down jackets. Wednesday (blog entry here) saw us on a bus to Otepää, with a 16 km ski around artificial but enjoyable trails a stone’s throw from our hotel. On Thursday (blog entry here) we were joined for the morning by a leading Estonian skier, Martti Himma, who demonstrated some warm up exercises and techniques. The afternoon found four of us who were either crocked or had done enough laps of the 6 km ski circuit, strolling around the perimeter of the ski area, past a lake, a cemetery and a large church, and enjoying a long, lazy break for drinks and cake at Elsa’s tearoom. Susan and Roy decided to pose on part of the National Geographic Yellow Windows Culture Route. Friday was Sue’s 50th birthday. We had about an hour’s coach journey to Haanja, where the skiing was limited but good. My blog entry is here. We spent an enjoyable time on a lake, where Andy captured the ambience in this image. Saturday was a day off skiing for most of us. It was ‘A Trip to Tartu and a Race’ day. Several of us bought these Salomon trail shoes for €65, which I’m told was a good price. In the afternoon, three of our number, Andy, Shane and Sam, had entered a race in which they were to complete two and a half laps of the 6 km loops – 16 km. Here they are after the race. Their times appear later. Sunday was ‘Race Day’ for all of us. The elite race started at 9 am, and was the only one in which proper timing splits and age category positions were recorded in the official results. The Exodus Travels group embraced a lone Canadian elite skier – Karen, who dressed as Superwoman and completed the 34 km race in 2 hours and 4 minutes. The faster members of our group set off at 11 am. This chicken was faster than any of them. Roy had to strain every sinew to keep ahead of the injured Susan. Some of the rest of us took advantage of the free meal offered by the organisers prior to our 2 pm start. The food wasn’t very appetizing. Whilst Helen and Jim did the short ‘Half Marathon’ two and a half lap route, the rest of us went for the 34 km, five and a half laps option. During the race it started to rain and the tracks got icy, so after four hours the race was stopped for reasons of safety. That meant that Jenny, Karen and Maureen didn’t manage all of the final half lap, but they did over 30 km in the slightly challenging conditions. Our times are shown below. As the race took place in seven waves over two days, all with different track conditions, the organisers haven’t bothered to provide the normal age category positions and other data for non elite participants, which I think is fair enough – it would be pretty meaningless. I’ve uploaded quite a few pictures that can be viewed as a slideshow here. If those on the trip let me know if they want any of the images at their full size, I’ll send them on. Despite the poor snow conditions, this was an excellent trip in the best of company. I think you may see us again. Special thanks to Andy for managing to handle the large group with ease and keeping us well informed as to ‘what happens next’. About 30 Challengers attended this annual reunion, of whom roughly 22 enrolled on Graham's Saturday walk. He had chosen an excellent route. After leaving the Snake Inn at 10 am prompt, we were soon stretching our legs on the woodland path up to the Roman Road, which we quickly deserted in favour of the path above Oyster Clough. From this excellent rising path, pictured below, there were good views towards the Ladybower area. We passed a shooting cabin; very basic, not really usable as a bothy, but it would provide shelter in an emergency. Today it simply served as a marker whereby we turned south east towards Cowms Rocks. Here are two Grahams and David, looking back to the rising path, with Seal Edge and the Kinder plateau in the background. The group was still intact despite Graham's electric pace, from which he was eventually reined in for an elevenses break on Hey Ridge. Then a lumpy descent led down through a break in the plantation created by an ancient wall, to the Alport Farms. From the farms, Alport Castles stand tall to the east, with The Tower in the relative foreground and good views up the Alport Valley for added interest. We used a bridge, not the ford pictured below! Soon we were on a subsidiary ridge with fine views. The rocky summit of The Tower looks higher than it actually is from this ridge. A few people followed Graham up to The Tower, pictured below, but most lunched amongst the rocks far below. From here, there's a gently ascending ramp that emerges by the excellent path across Rowlee Pasture, from where there’s a good view back down the ramp to The Tower. By the time I reached the Rowlee Pasture path there were only 8 in the group. Others had elected to go on ahead of the leader and had taken a short cut back to the Snake via the Alport valley. Here we are on the flagged path across Rowlee Pasture. What a contrast to last year (except that Sue is dressed identically), when our walk followed the same section of path. After losing two more of our number at Woodcock Coppice (from where there was an easy walk back to the Snake), a residual group of six headed across the A57 and up a good bridleway through the well named Woodlands Valley. That left Graham, me, Sue, Brenda, Tim and Graham (I think), for the final stretch past Upper Ashop, where a group of 16 mountain bikers was encountered on an entertaining descent. Shortly afterwards a helicopter landed nearby. We thought nothing of it – helicopters are often seen hereabouts, generally in relation to path reconstruction and seeding badly eroded areas. In fading light, obstacles caused by Storm Doris were easily negotiated on our way to rejoin the Roman Road and head down to The Snake Inn, which is up for sale. Here's our route, 21 km with about 850 metres ascent, taking a very leisurely 7 hours or so (Graham having had to moderate his pace to avoid getting literally miles ahead). There’s a slideshow (35 images) here. Click the first image, then manually scroll through the pictures. On return to the Inn, we discovered that Colin, one of our group who had gone on ahead by the route not marked on my map, had fallen and broken his ankle. Hence the helicopter. 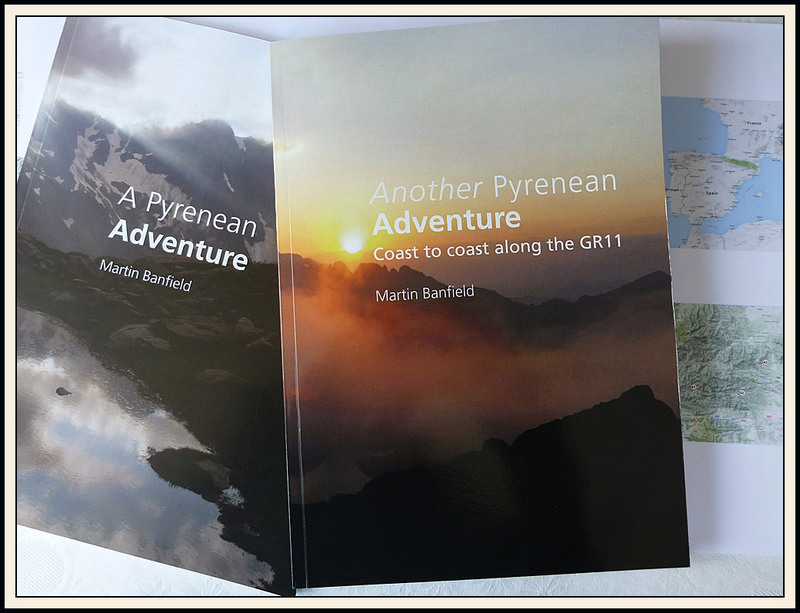 The minor epic had been handled in exemplary manner by various TGO Challengers and the local Mountain Rescue team. Colin was, and is, ensconced in a hospital in Sheffield. We hope the operation went well and that he’s back on his feet as soon as possible. Colin wasn’t entered in the Challenge this year, so his accident doesn’t free up a space. However, I was at the back of the standby list at number 80 and during the course of the day I was told that there is now a place for me, so I assume that everyone who has not withdrawn and who wants to take part this year is being allowed to do so. I’d better plan a route! Just in case anybody is interested, my postings about TGOC reunions can be found here. Finally, thanks go to Alan Hardy for organising this event, which must have been a bit more stressful than usual due to management changes at the Snake, whose staffs looked after us well, so thanks also to them. We hope that Alan’s poorly knee is well enough by May to do the Challenge, and that Sue O’s knee also gets better. In fact, a lot of people seem to be in a slightly crippled state, so good luck and ‘get well’ – Everyone! Sue's Big Birthday celebrations continued unabated yesterday, with another candle blowing session in Bacup. Meanwhile, Jessica takes a break from being bemused by her dad’s card tricks, and Kate attempts an intellectual look! Thanks to Kate and Simon for hosting this lovely afternoon indoors whilst it tipped down outside.